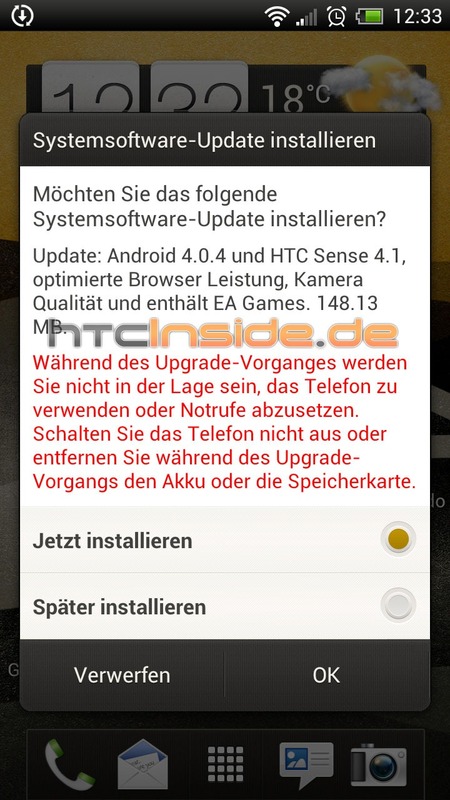 According to German site HTCInside, the European variant (not confirmed for all regions) of HTC's One X smartphone is receiving an OTA software update to version 2.17.401.2. The update, as shown by the dialogue on the device (and our rough translation), promises Sense 4.1, Android 4.0.4, improved stock browser performance, and enhanced camera quality. 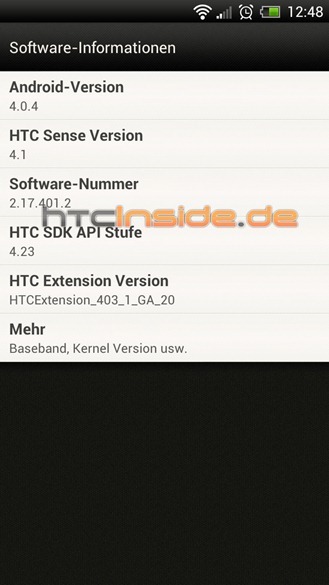 Having been using a Sense 4.1 ROM myself the last few days on my own One X, I can also confirm that the newest version of HTC's UI overlay brings at least one change of its own. Expect marginally smoother homescreen switching animations (the animation itself is a little different, too). 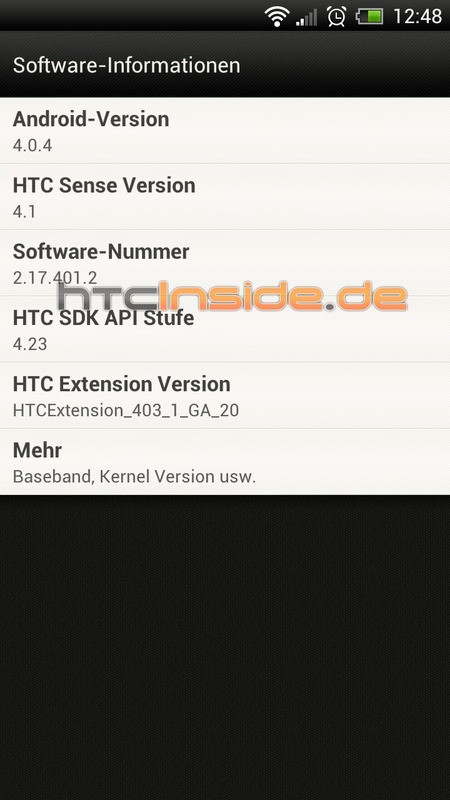 That's actually the only visual Sense 4.1-specific change I've noticed. Otherwise (and probably most importantly), the update includes the same recent apps button menu in Settings that we saw come to the AT&T version of the One X last week, meaning that annoying virtual menu button can finally be banished back into the nether regions from whence it came. If you're getting the OTA on your One X, be sure to let us know in the comments!